A tried-and-true Cuba Street Mexican stronghold. 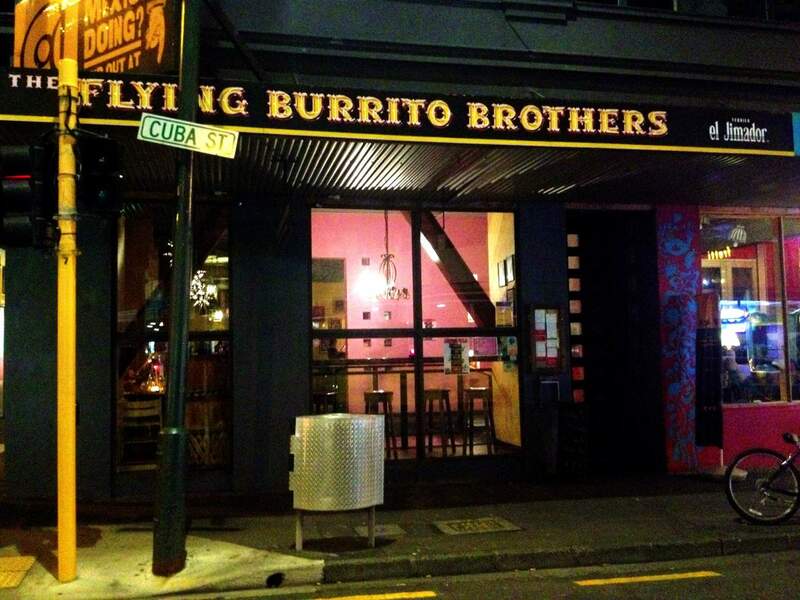 One of the longest running Mexican restaurant's in the Capital, Flying Burrito Brothers on the corner of Vivian and Cuba Streets is a Wellington Institution. It's where you go to bust your Tequila Slammer cherry on your 21st, or where you take friends to show them a raucous good time. The first of what is now a chain - there are FBBs in Auckland and Hamilton now - Wellington's branch has had some ups and downs in the fast paced Wellington dining world. The Brothers have taken flight once more, however, born away on the current passion for all things South of the Border. In terms of food, they have a huge, detailed menu taking in all the Mexican hits, with a few specialities of their own. Try the Macho Nachos, Tex-Mex favourite Chilli Con Queso - spicy cheese dip with corn chips, or the tangy Ceviche Pacifico, it's to die for. Yes, if you were wondering, there is a flying burrito, the Flying Burrito, in fact. Made with either beef or chipotle chicken, Los Bros' burritos are robust in both flavour and size, and comes with rice and a selection of fresh salsa. Disappointingly, it does not however actually fly. All in all, the Cuba Street classic is a must-eat for any Mexican food aficionado.